Have you ever looked carefully at the trees in your surroundings? They are one of the first things I notice when I arrive at a consultation. 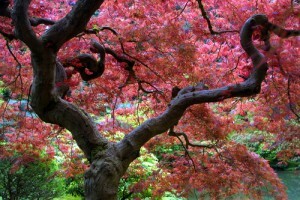 In Feng Shui trees represent Wood energy (Chen) and are associated with springtime, morning, the east and the color green. Property with healthy tree energy is generally a harbinger of good chi within the building. Whether a mighty oak, flexible bamboo or stately palm, trees tell a story. They provide shade and shelter from the elements and habitats for other living creatures. 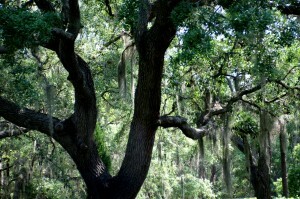 Trees purify the air we breathe (even in indoor spaces) and prevent erosion of the earth beneath our feet. Because Wood symbolizes ancestral beginnings while motivating and informing our world view, tree chi is vital for any home or business environment. Providing the impetus for growth and development, Wood energy, like a good sturdy tree, should be upright and strong while yielding to the elements of change. Inside a building Wood energy is essential to expanding a business or family, learning a new subject, writing a book or planning the future. It provides both a foundation to build upon and a grasp beyond what is known and familiar. In Four Pillars/BaZi Chinese astrology, which determines the elements that imprint and define us at birth, Wood chi relates to expansion, creative thinking and sociability. Wood people are resourceful and handle pressure well; always with one foot in the future. Family, art and music inspire them while confinement and passivity stunt their growth. One of several hundred-year trees on my property (‘Max’s tree‘ – yes I’ve named them) has nurtured my children and grandchildren for many years and is home to a wide variety of wildlife and magnificent red tailed hawks. A 15-year old tree planted to honor the passing of my father (Papa’s tree) grows as straight and tall as his legacy. Take a look at the trees along your journey and pay attention to the message they send. Their roots and branches can reveal a lot about the past and help frame your future.